Today I am pleased to feature a guest post by Leslie Koch. Leslie is the founder of DowntownTraveler.com, an online magazine for urban travelers who crave arts, culture and adventure. Leslie lives in New York City, where she settled after completing a year-long, round-the-world trip with her fiancé (now husband). She can now confirm that, without a doubt, the Big Apple is the best city in the world! Good news for budget travelers: despite its reputation as an expensive destination, New York City is surprisingly affordable. In fact, it’s possible to fill an entire day with free activities. As a native New Yorker, I rarely spend money to attend an art event or historical attraction. Take it from me—you don’t need to spend a dime to soak up New York City culture. 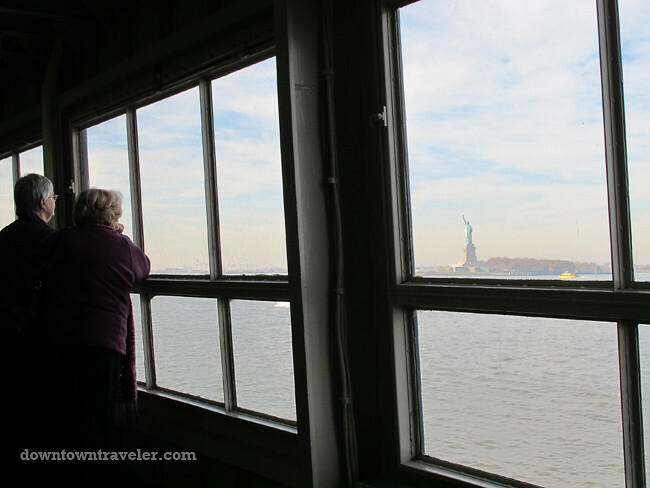 Read on for five of my favorite attractions in the Big Apple—all of which are 100% free! My top tip for New York City is always to rely on the subway and your own two feet to get around. It’s the best (and cheapest) way to get a feel for the local flavor. However, if the $2.50 subway fare is beyond your budget, there is a free transportation option: the Staten Island Ferry. This classic boat ride doesn’t require any advance notice; just show up at the pier in Lower Manhattan and elbow aside other tourists and commuters to snag a seat on the boat. Sit on the right side for close-up views of the Statue of Liberty. This is the closest you can get to Lady Liberty without paying a fee; to actually visit the statue, you’ll need to pony up $21 per person for a cruise and entry ticket. Once you’ve arrived in Staten Island, make sure to check out the historic St George neighborhood, known for its Victorian houses, before heading back to Manhattan. Visit NYC.gov for the ferry schedule. Art lovers are spoiled for choice in New York City. From high-brow museums to mega-events like the Armory Show and humble street art, there are art venues for every taste. To experience the Manhattan art scene for free, head to the West Side for Chelsea Gallery Night. Held every Thursday, this gallery crawl features free wine and cheese, contemporary art and the chance to speak with emerging artists. As a side benefit, the event tends to attract chatty, art-loving single men—so this just might turn into a love connection! You can simply show up and follow the crowds, but I’d recommend visiting Art Cards first to find a listing of openings. The web of galleries can be confusing, so it helps to come prepared with an action plan. For ten years after September 11th terror attacks, the World Trade Center site was closed to the public. Fortunately, there is now an official memorial where you can pay your respects. The National 9/11 Memorial is a fitting tribute to the nearly 3,000 victims who lost their lives in Lower Manhattan, the Pentagon and the Flight 93 crash in Pennsylvania. 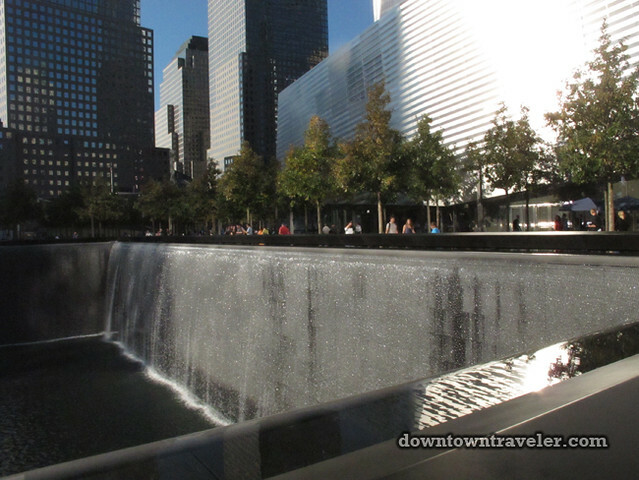 Two man-made waterfalls fill the footprints of the Twin Towers, and the engraved names of every victim put a human face on the tragedy. Tickets are free but must be purchased in advance by visiting the 911memorial.org website. Summer visitors will find free musical and theater performances throughout the five boroughs of New York City. The most well known venue is Central Park, which attracts top music acts and A-list actors. Past Shakespeare in the Park performances have featured big names like Al Pacino, Merryl Streep, Natalie Portman and Phillip Seymour Hoffman. Most of the park events are free, although you’ll need to spend a few hours standing on line for your complimentary Shakespeare tickets (or pay someone to do it for you). Visit the Central Park and Shakespeare in the Park websites for details. Visiting New York City’s well-maintained and historical parks is a must for visitors, particularly those on a budget. When weather permits, the best way to experience a park is to bring a bottle of wine, an assortment of cheeses and a fresh baguette for a picnic. Central Park is a favorite destination; you’ll recognize the vistas from Hollywood films like When Harry Met Sally and Home Alone 2, and you can easily purchase supplies at the Whole Foods located just outside the park in the Time Warner Center. If you’re feeling adventurous, take the subway to Prospect Park in Brooklyn. It’s a popular spot for locals to picnic, play ball and barbeque. For information on New York City parks and for a schedule of events, visit the Parks Department website. What are some of your favorite things to do in NYC for free? Leslie Koch is the founder of DowntownTraveler.com , an online magazine for urban travelers who crave arts, culture and adventure. Leslie lives in New York City, where she settled after completing a year-long, round-the-world trip with her fiancé (now husband). She can now confirm that, without a doubt, the Big Apple is the best city in the world! I’m honored to be featured as a guest writer on your site! Thanks! Great list! A picnic in Central Park sounds lovely, I also wouldn’t mind catching one of the free performances. I LOVE New York, and walking is definitely the best way to see it. I walked so much when I was there I had holes in my shoes when I was done. These are some great tips! Fortunately, we have amazing shoe stores to replenish your wardrobe when you run holes in your footwear! You have shared the awesome information related to New York City. Well, I have never been to New York City and it is my dream or you can say wish, that I have to visit a New York City once in my lifetime :D. I was under the impression that every thing in New York City is expensive but after reading this post I came to know about these 5 attractions which are free and it is quiet good. So in life, when ever I get the opportunity of visiting New York City, I definitely going to visit these 5 attractions. Thanks so much for sharing such a nice information :). While hotels in NYC are pricey, events and food are remarkably cheap for the US. Hope you make it one day! I visited New York several years ago, and I remember Battery Park. I know someone from abroad (outside the U.S.) who is traveling to New York this summer, so list list is very helpful.